It is FINALLY here! A years worth of work, and so wonderful to see the quilts go up yesterday afternoon. 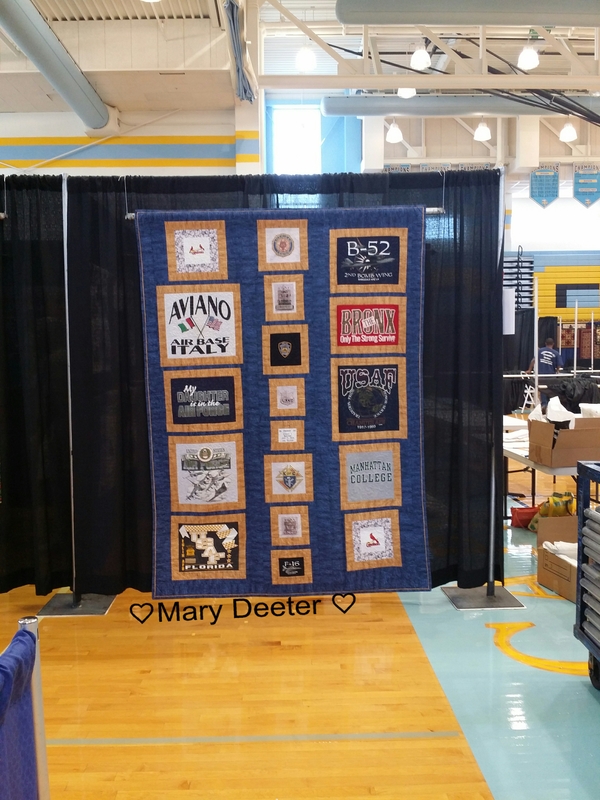 We worked from 2:15 to 8 pm getting over 250 quilts hung at Cape Henlopen High School in Lewes DE getting every thing ready! 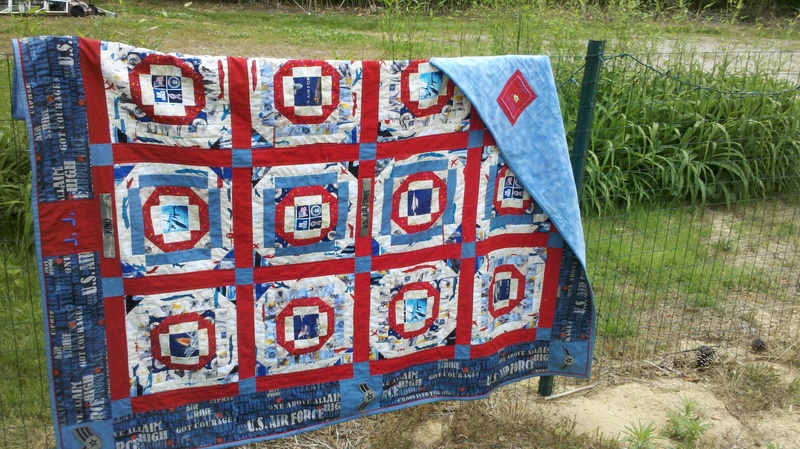 I had to take a photo of MY quilts that were hanging…My Ohio Stars and rails for Quilts of Valor hangs pretty nicely. 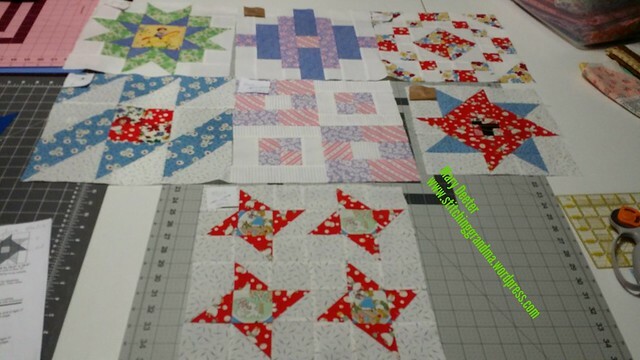 This Boxy Stars quilt that my bee, The Material Girls, worked on together turned out well. 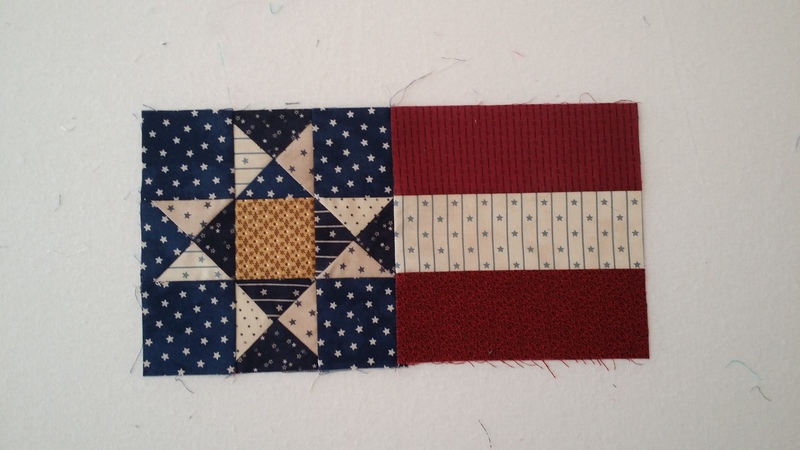 Our challenge was to make a Red White and Blue Quilt for Quilts of Valor. One member , Judy B., really got us organized. 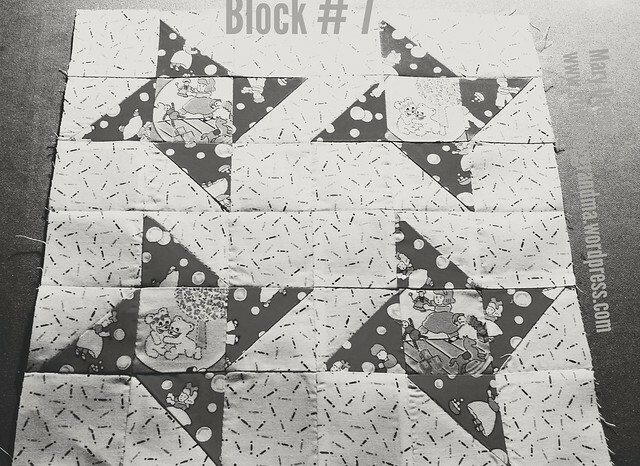 My part was to work on paper piecing some of the blocks and helping with the layout. Other members sashed and joined the blocks, made the binding and hand stitched it on. The custom quilting was done by Pat Kost. This is the first time I have seen it since we made the blocks in January. Both of these quilts will be donated to Quilts of Valor after the show. The very first quilt hung was one of mine and I got to hang it. After looking at this photo, I realized it needs to be on shorter hooks. 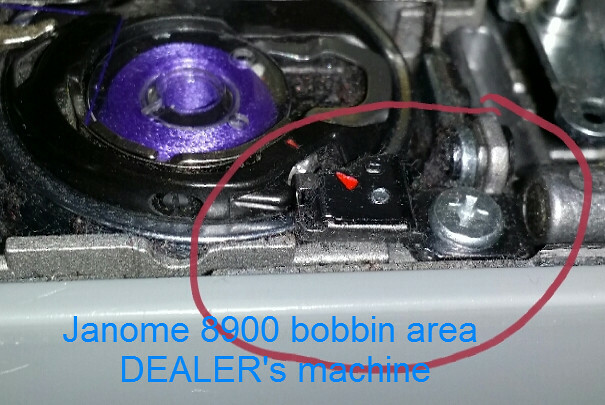 Oh well, maybe one of our many “quality control checks” caught that. This picture was taken about 10 minutes after it went up….so I am hoping in the next 4 or 5 hours somebody adjusted it!. So; take a road trip and come to see the show! The vendors were working just as hard as our guild members getting ready! I promise to take lots of pictures today and tomorrow! 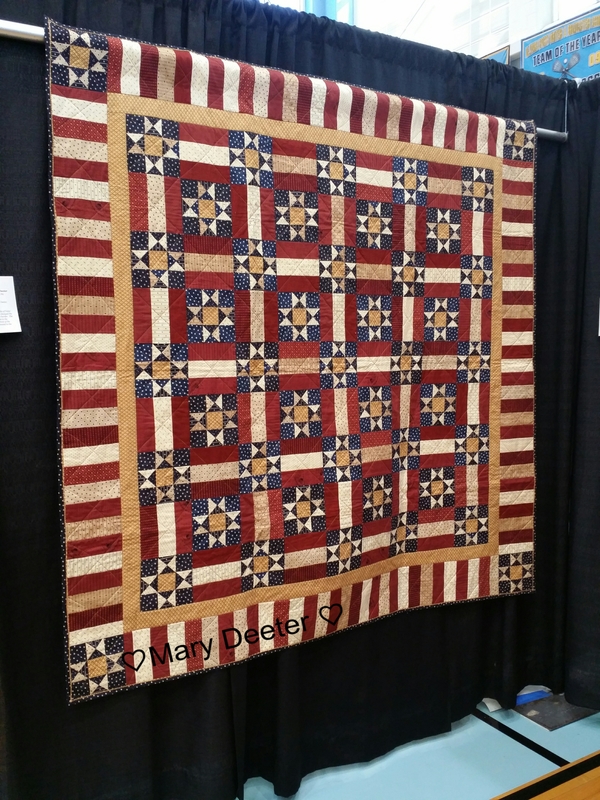 I have lots of jobs at the show, including a BARN QUILT demo. So, if you are coming to the show; look for me on Saturday at 11:30 . I will be the one painting back in the corner! Time for me to “get busy” ! Our guild (Ocean Waves Quilt Guild, Lewes DE) is having a quilt show this summer – July 17 & 18, 2015 – and the theme is Paying It Forward. (http://oceanwavesquiltguild.org/qs15.html) All of the members are challenged to put quilts in the show and make a quilt for the Quilts of Valor Foundation (QOVF). Background — to date, over 115,000 quilts have been donated to QOVF since the beginning in 2003. These quilts have come from around the world. QOVF was founded right here in Seaford, Delaware and many in our Guild were actively involved in the grassroots beginning. 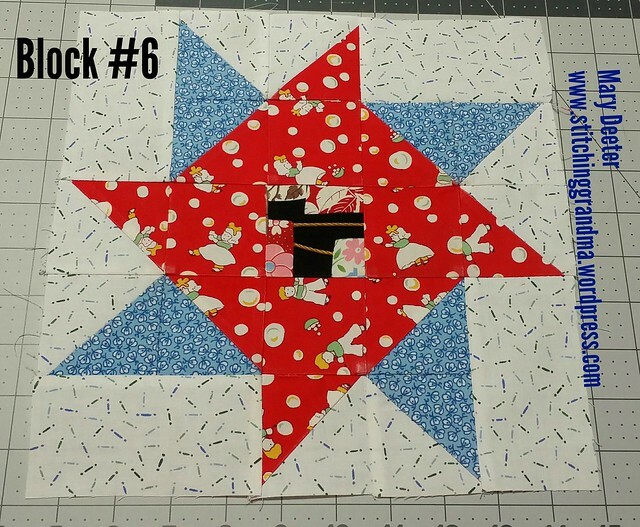 So, I am starting my first ever QOV quilt and will enter it in our Quilt Show. 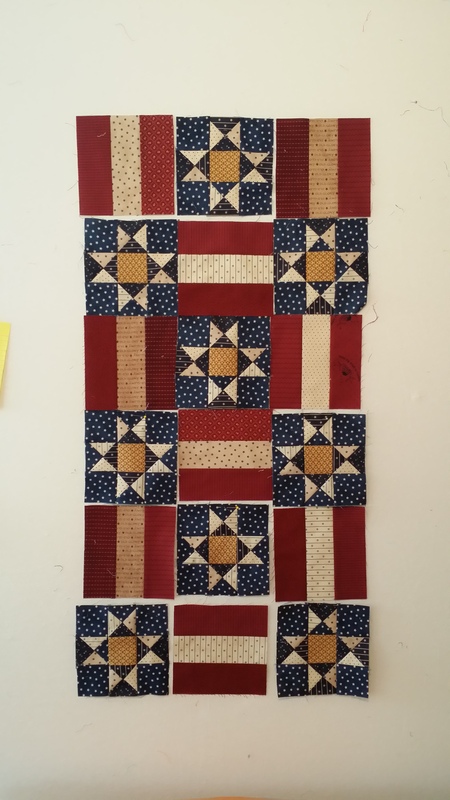 The challenge is In keeping with the show’s theme, Quilts- Paying it Forward, we are encouraging quilters to create a quilt that would be donated to the Quilts of Valor program with some hopefully distributed to participants in Operation SEAs the Day Warrior Week event. This event, to be held in September 2015 at Bethany Beach, provides a week’s vacation for some 35 recovering wounded soldiers and their families. For more information on the project visit: http://www.operationseastheday.org. 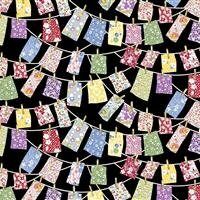 I decided I would select my fabric when I went to the AQS quilt show in Lancaster early in the month. 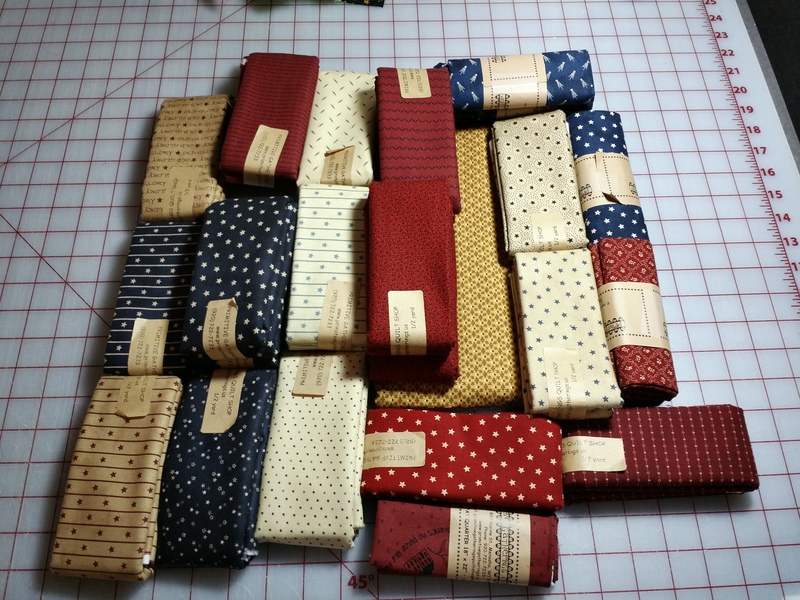 I had a couple of patterns in mind, and so I shopped! I started on Saturday and built all my “rail” blocks; and yesterday I worked on my star blocks. The blocks all finish at 6.5″, with the pieces as small as 2.5″. The most challenging/time consuming part is making those “stars”. I deviated (of course) from Bonnie Hunters method and am using my June Tailor Perfect Half Square/Quarter Square Triangle Ruler (JT) . Bonnie’s method has you cutting the triangles using the EZ Angle ruler and stitching; but I am not a fan of the “bias” and never seem to make the block properly. So, my tried and true method is with my JT ruler. 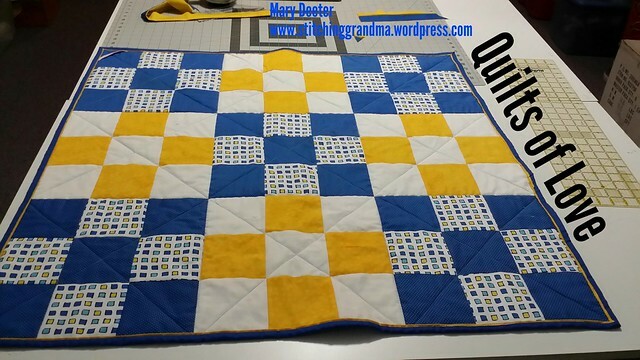 Using it, I start with a stack of 3.5″ squares, and make half – square triangles of blue and neutral; and then turn those into quarter squares before doing any trimming down. There is not much left to “sliver trim” away, but they always come out as perfect as I can hope for. There are 41 star blocks in the pattern. There are 40 rail blocks. Somehow I miscounted and made over 70 rail blocks. I seem to do that when I make things, miss count and have extra. 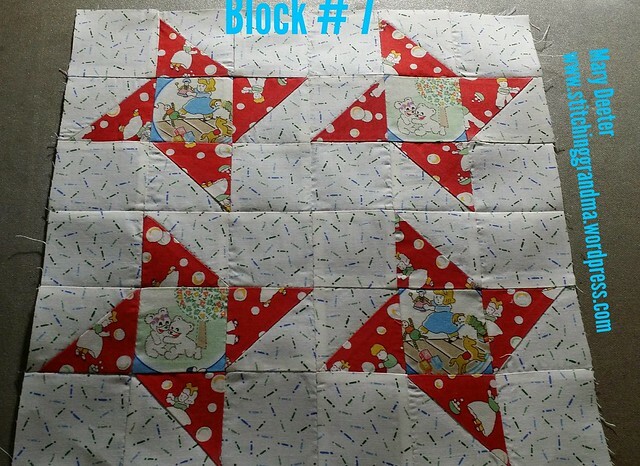 Perhaps a 2nd quilt – a rail fence or something! Having the extra will help me balance the “neutral colors” as some are darker than others. In this picture below, they are just on the design wall for “concept”. This is the general layout and I have a LOT more work to do before I put the top together! I love the piecework and the process of building the intricate blocks. I’m sure it will come together quickly now that I got started. I have a busy few days, not sure what I can get done between now and Friday, but I have set aside Friday for sewing! What are you working on ? 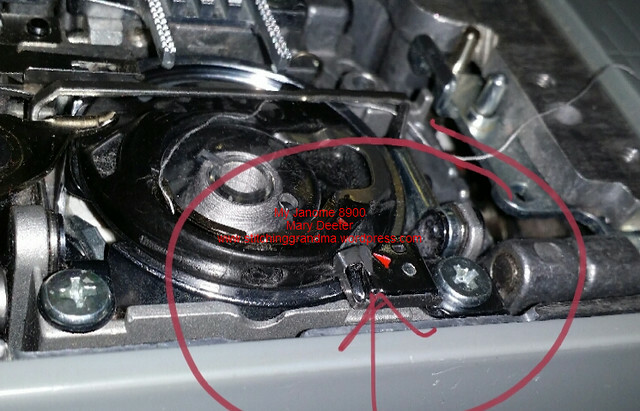 What ever it is, have fun with the project! 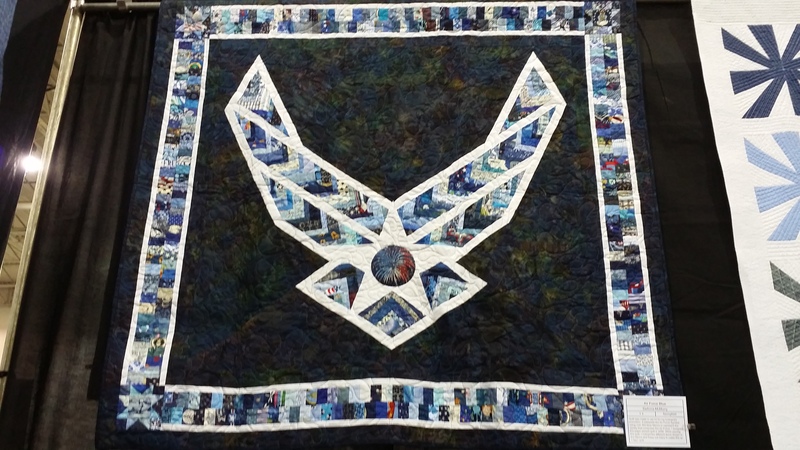 I have seen some lovely quilts this year, honoring the service of US Military men and women. On this day in America, we honor our Veterans. 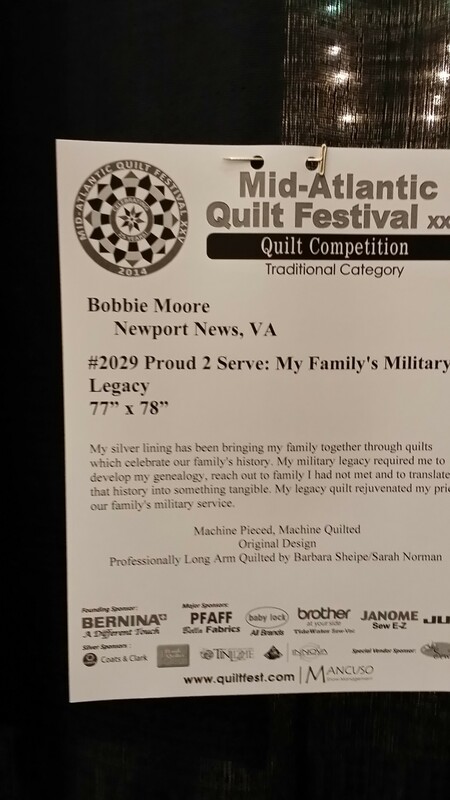 Many have been honored with Quilts of Valor, a program that started here in Delaware, making quilts to give to families of fallen service men and women. Three of the quilts below were seen at quilt shows; one is my own. There are many ways to honor the service to our country, and this is my way. Thank you from the heart of America. 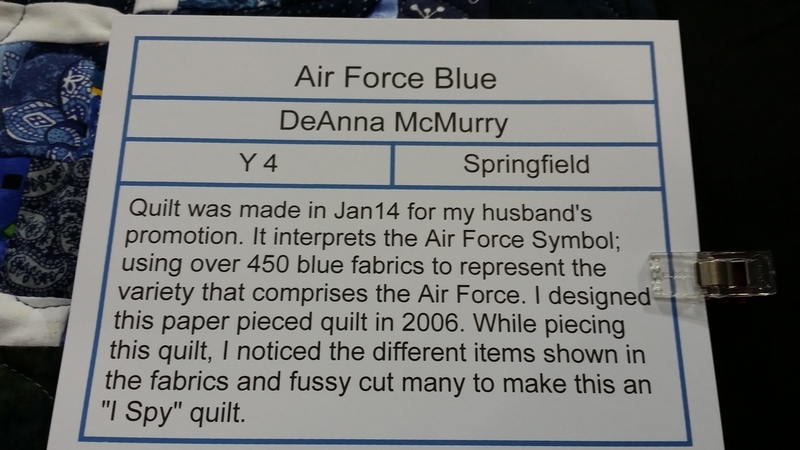 In honor of a US Air Force husband – this quilt was made by DeAnna McMurry. 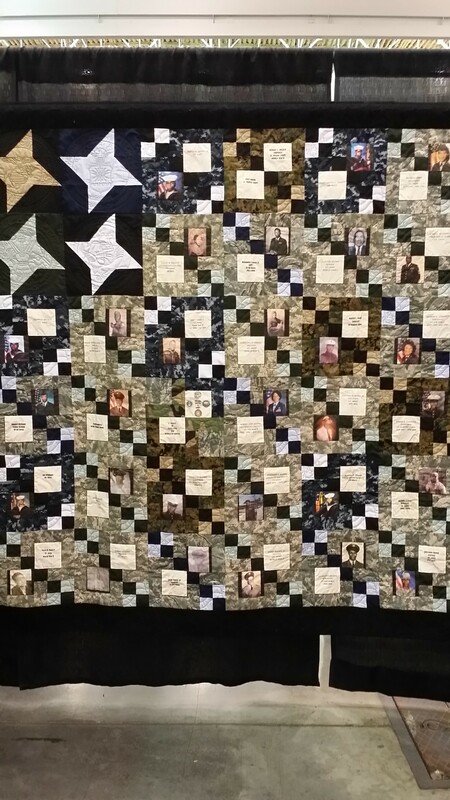 Below, this quilt honors an entire family! 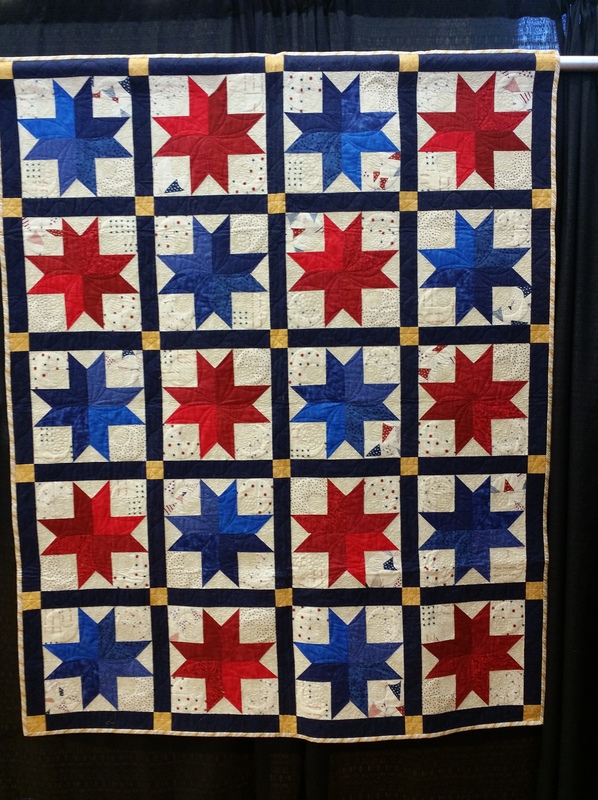 Spotted at the Mid Atlantic Quilt show. Honoring all the family members who had served. I really liked this quilt; telling the story of so many family members. Below is the sign associated with the quilt from the show. 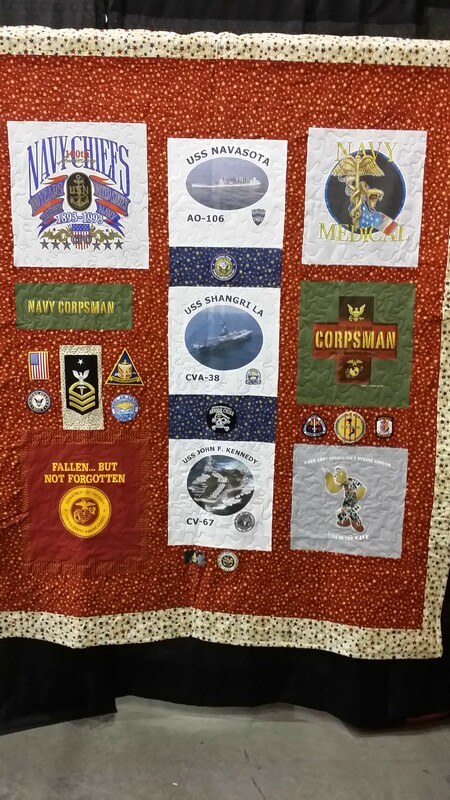 Not a show quilt, but one I made to honor a fallen service man.